It's been 10 years since Beyoncé debuted “Crazy in Love,” and The Black Eyed Peas debuted a new member. In other news, WE’RE OLD. “Crazy In Love” was the definitive summer song of 2003. Released as the first single from Beyoncé's debut album Dangerously In Love, it spent eight consecutive weeks at No. 1 on the Billboard Hot 100. 2. Lil Kim feat. 50 Cent, "Magic Stick"
The second single from Lil' Kim’s third album, La Bella Mafia, peaked at No. 2 on the Billboard Hot 100. Despite the huge popularity of the song, a video was never filmed, reportedly due to a feud between Lil' Kim and 50 Cent. The second single released from Matchbox 20's third album, More Than You Think You Are, "Unwell" spent an impressive 20 weeks at No. 1 on the Billboard Adult Top 40. The song also reached No. 5 on the Hot 100. 5. 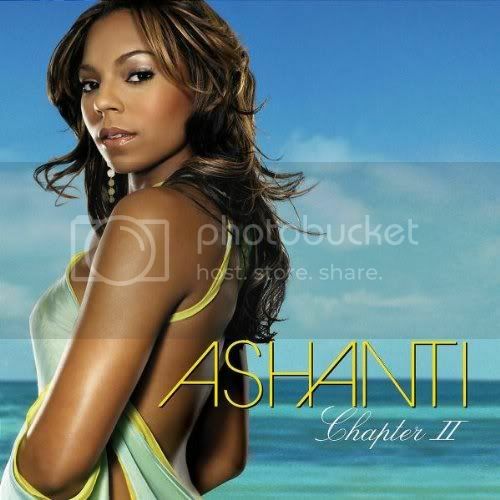 Ashanti, "Rock wit U (Awww Baby)"
"Rock Wit U (Awww Baby)" was the first single released from her second album, Chapter II. The song peaked at No. 2 on Billboard Hot 100 and No. 4 on Hot R&B/Hip-Hop Songs. 6. Sean Paul, "Get Busy"
"Get Busy" was a huge club banger that also went No. 1 on the Billboard Hot 100. Sean would reach No. 1 again that year with his collaboration on Beyoncé's hit single "Baby Boy." 7. Evanescence feat. Paul McCoy, "Bring Me to Life"
This Hot Topic anthem became a huge hit after it's inclusion on the Daredevil soundtrack. 8. Lil Jon & the East Side Boyz feat. Ying Yang Twins, "Get Low"
The song was off their 2002 album,Kings of Crunk, and it reached No. 2 on the Billboard Hot 100. 9. Lumidee, "Never Leave You (Uh Oooh, Uh Oooh)"
"Never Leave You (Uh Oooh, Uh Oooh)" was Lumidee’s debut single. The song peaked at No. 5 on the Billboard Hot 100 and remains her biggest U.S. hit. "P.I.M.P." was the third single released from 50 Cent’s Multi-Platinum debut album Get Rich or Die Tryin.’ The song peaked at No. 3 on the Billboard Hot 100 and was his first single from the album not to go No. 1. "Frontin'" was Pharrell’s debut single as a solo artist and was featured on the album The Neptunes Present... Clones. The song peaked at No. 5 on the Billboard Hot 100 and remains his biggest solo hit to date. 12. Nelly, P. Diddy and Murphy Lee, "Shake Ya Tailfeather"
This track was recorded for the Bad Boys II soundtrack and it reached No.1 on the Billboard Hot 100. The song was Nelly’s third and P. Diddy's fourth No.1. 13. The Black Eyed Peas feat. Justin Timberlake, "Where Is The Love?" This was the first single released from The Blacked Eye Peas’ third album, Elephunk. Which was also happened to be the band's first record to feature Fergie. The song peaked at No. 8 on Billboard Hot 100 and at the time was their biggest hit. Their previous single, 2001’s "Request + Line," had only reached No. 63.